Contact Us through this form. Heat shrink tubing is a kind of tubing that the diameter shrinks if it is heated. Some of the materials it may be made from include thermoplastic polymers like polyolefin, polyvinyl chloride or PVC, polytetrafluoroethylene or PTFE, or fluorinated ethylene propylene. Some types of heat shrink tubing also have added to it a lining that is adhesive so the tubing will bond better to form a seal or polymer film may be added to allow an electrical connection. The Raychem Corporation invented heat shrink tubing in the 1950s by determining a process that would allow plastics to shrink, but not melt or get degraded. It was found that if some types of polymers were exposed to radiation that they actually got stronger. This is called cross linking and it is what allows the heat shrink tubing to be able to shrink down, and it helps to make it strong and durable. Heat shrink tubing is used in doing jobs such as protecting, insulating or repairing wires or terminals, as well as other electrical types of connections. It is also used to insulate outdoor wiring, group wires together and to color code wires so they can be more easily identified. 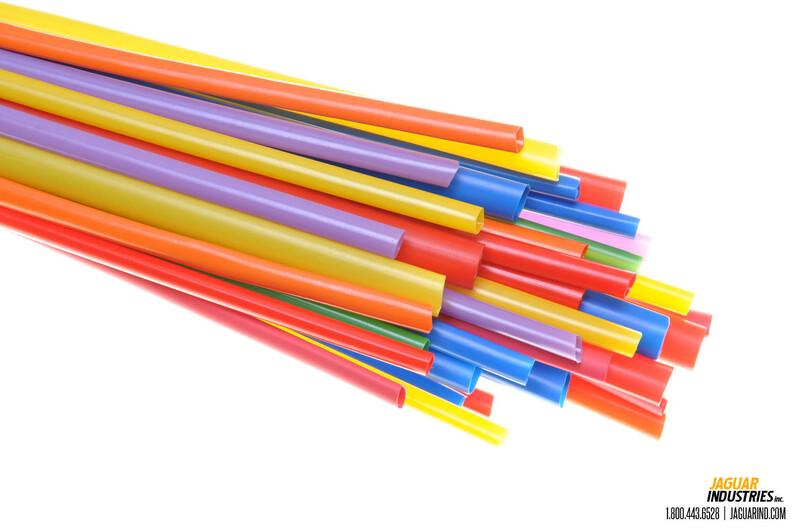 Electricians also have a special color-coded chart to classify the various colors and sizes of heat shrink tubing, as these colors represent different diameters and thicknesses. Three main types of heat shrink tubing exist: thin, medium and thick wall. Each type of heat shrink tubing has a specific shrink ratio, for example, if it has a 2-1 shrink ratio, then it shrinks to half its original width. Depending on the precise kind of material the heat shrink tubing is made of, it works in two basic ways. Tubing may be specifically treated when it is produced so that it automatically shrinks when it is heated. This is called expansion based tubing. Expansion based tubing is heated to close to the point where it will melt, and then stretched to make it wider as needed. Then, it is cooled quickly to keep it in the desired width. When the consumer buys it and uses it, this kind of heat shrink tubing will then shrink back to its pre-stretched size when they use it. The other way that heat shrink tubing is made is through a process called polymerization. This changes its chemical structure and the molecules in the material gets closer together and so it shrinks. There is not a dramatic difference in this type and it is still partly an expansion based process. Heat Shrink Tubing is used by placing it around the wires or other components to be protected, and then a special heat producing gun is used to heat it up. When the heat shrink tubing melts, it expands, then shrinks to the desire size and forms a seal that protects the wires and other components.